Who said diamonds are a girl’s best friend? How about pearls? Did you know that not all pearls are from the South Pacific and beyond? In fact, my mom and I on our trip to Tennessee literally stumbled (okay after driving for a while twisting and turning our way about) to the very cool Tennessee River Fresh Water Pearl farm and show room. This is North America’s only freshwater pearl-culturing facility—and even better, the official historical site of pearl-culturing for the State of Tennessee. It is hard to imagine and I hope to be part of a tour in the future to see just how they harvest the pearls from the Tennessee River. 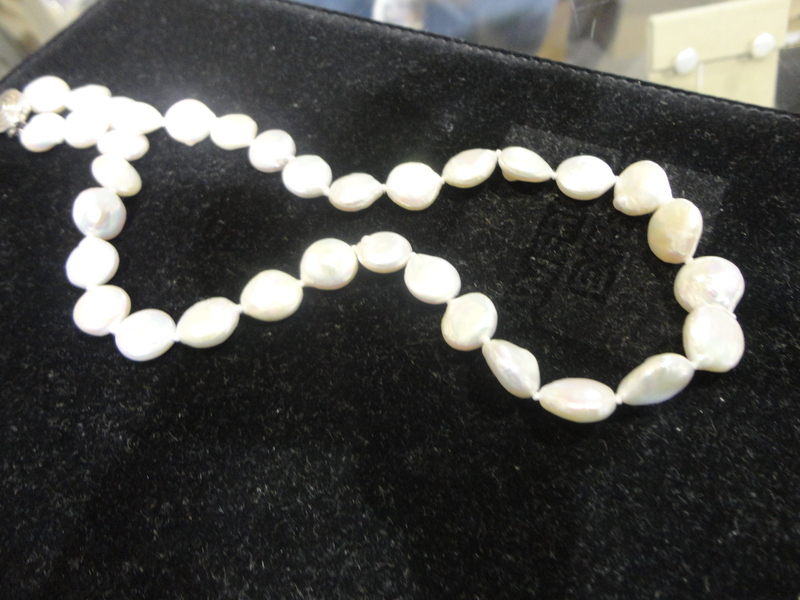 Above is a picture of the pearls I purchased for my birthday. As my husband says about his antique tractors, it’s an investment! An investment in me, for me and to wear on me! Birdsong Resort is the home of The Tennessee River Freshwater Pearl Farm-Located 9.2 Miles North of I-40, Exit 133/Birdsong Road (TN Hwy 191 North-Log onto http://www.tnvacation.com/vendors/tennessee_river_freshwater_pearl_museum_farm_tour_jewelry_showroom for details!